Bengkel Animasi (BA): Hi Johanes! First of all, congrats for working on Star Wars: The Last Jedi. So cool to be able to work on such huge title! Can you tell us about yourself? Johanes Kurnia (J): I was born and raise in Jakarta, Indonesia. I’m currently working in ILM (a division of Lucasfilm – Disney) San Francisco as a Generalist Lead/Supervisor. I’ve jumped around for quite a bit — from hometown Jakarta, Brunei, Tokyo, Bangkok, New York, Los Angeles — and now San Francisco. In terms of work, I’ve done a wide range of projects — from print work, broadcast graphics, installation videos, tv commercials, game cinematic — and now feature films. BA: Can you share about the process of you getting into CGI? J: I was always interested in anything visual since I could remember, not necessarily CG, but as soon as I got introduced to the CG world — I realised the immense story telling potential and decided that this is what I want to do and jumped into it fully. I consider myself blessed to have a resolved goal in a relatively young age. The support from my family was neutral I guess, they were not against it, I came from a simple family where having an office job is considered good enough. The notion that art-related jobs are somewhat unable to provide financial incentive is intensified in a third-world countries, I did feel the peer pressure, but at the end of the day, for me — I don’t really want to (and probably can’t) do anything else. BA: How was your learning process? J: My learning process differs from one subject to another. I did not have a CG formal education but my majors did branch out to study CG — but not as a primary serving. I am mostly self-taught via online and on-the-fly at work, the method that works for me when learning new skills is to design a tangible project around it, i.e. want to learn CG Scripting? — create a project that ended up with a script that could be used in production. BA: Can you tell us the story of how you got your first job in the industry? J: My first ‘fulltime’ job in the industry was as a broadcast graphics designer in Brunei. One of my close relative pointed a classified ad in a Kompas newspaper, I applied, we went to the interview and got the job. It was odd because if you think of Brunei — is not really a place that is well-known for this industry and moving abroad was a big thing for a young local kid like me, but I saw it as a decent opportunity to learn new things and that was enough to move me. The name of the company is Shazana Production. The great thing about a quite place like Brunei is you don’t have a lot of distractions — so I was able to really focus on learning the tools (mainly 3dsMax and AfterEffects), building my demoreel and saved a little bit of money. After a couple of years, I felt it was time to find a new challenge with more room to growth. I kept looking for job openings (mostly online) and applied on every opportunity regardless the chance. It took a few months (while kept polishing my reel) until someone responded, it was Polygon Pictures — a company in Tokyo. I left after my short contract (about 1.5 months — it was a TV promo) ended. They did offer an extension but the working culture there didn’t sit well with me — not a big fan of too many layers of bureaucracy. Another company, this time from one of the best TV commercial studio in Bangkok, replied to my earlier application. It was a very exciting offer for me, I always wanted to work with filmed materials (integrating cg elements with plates) — I saw it as a rare opportunity as this type of experience typically requires mentors and filming equipments that would be hard to learn if you don’t (and I didn’t) have access to a proper (and expensive) vfx school. So I took the job, moved from Tokyo (until now — I still think it is the best city to live) to Digital Magic FX, Bangkok for the next journey. Bangkok was fun and I did learn a lot in a short period of time about the world of (small scale) vfx, I was exposed to more 3d work and compositing software such as Nuke. While working there, I didn’t stop polishing my reel and website, still browsed around job openings here and there. I managed to get in contact with a small design boutique (but big voice in the design world) named Tronic Studio in New York, they had me do a couple of small work that I did after my daytime work. It was an intense time in my life, I worked day and night, barely slept, ate ramen and junk foods all the time, not really a recommended lifestyle but I did it as a compressed effort because I know some opportunities don’t knock twice. They must’ve not hate my work, they called me for an interview to be a staff. So I went there, to NY. And the rest is history….no not really… it was hard. I didn’t think I would survived, my early days were filled with culture shock, subpar work and awkward communication skill. But things were starting to get better and I could start enjoying life and work — which affected the quality of it. I was getting really deep in love with full CG work, and no one does it best than this cinematic company Blur Studio, in Los Angeles. I started to watch them, tailored my reel to suit their needs and applied for a job there. I also found out about there was this Rini (Sugianto) person, an Indonesian animator that worked there, so passed her my reel and applied for a job there. It took multiple applications and some time to get the interview call but I finally get it. So the next move, NY to LA. I didn’t know that my definition of hard work would be redefined in the new place. The aim for highest quality output and game cinematic budget would do that. The projects are amazing and the working environment is one of the best in the world. They have a culture that makes it easy to grow and excel as an artist. One thing that stood out to me about Blur is their zero bureaucracy -ness , you have some cool new fx techniques? You can literally stop by Tim’s desk and show him directly. After a good 3 years working there, I’d like to get my hands on feature films, just to see my name tinily mentioned in the end of the movie rolling credits. Remember, my engine is fueled entirely by fun. So I go where the fun is, and at that time it was feature films. I went to work in Pixomondo LA and that was fun but I was looking for more. I started to look north to ILM. Applied a couple times (there might be a pattern here), got an interview and hired as a contractor. After the project, I did spend almost a year jumping around companies to work as contractors before re-hired by ILM again. Finally after working in a couple of bigger longer projects, I asked for a staff position and was approved. This year would be my 4th year working here. Phew… that was a long one, and we haven’t got into the “downs” part of your question yet, part 2? maybe? BA: WOW, that is a very inspiring story, Jo! We definitely need a sequel to that! What do you think is needed to compete in international industry for a CG artist like yourself? J: Demoreel is your key. Do realize that it is a very competitive field to break through — especially if you are coming from overseas, this means that you are putting yourself out there to compete with local talents that are more likely have better access to cg education and companies. This means that you have to put more efforts, It’s about showing companies that you have tangible values that they can use, learn about them — tailor your reel to such needs. Even after all this, the odds are still against you, but with constant efforts you’ll find yourself inching closer to understanding what the industry and its players are all about. At the end of the day — perseverance is your best friend in getting your foot in the door. BA: That’s a very nice way to put it. And thanks for the tip! Now, being a supervisor in a company as big and reputable as ILM is one huge deal! Mind sharing with us how is your daily role as a Generalist Supervisor like? What is your main responsibility? J: It is a big deal, I’m still not used to it. My daily role differs depending on the show (show=project) timetable. The easiest way is to split it in two modes: lookdev and shot work, with some transition time in the middle. When in lookdev mode, I would spent my days working on look development of the given sequences and assets within those sequences, also at the same time figuring out the best workflow for the job. This would be the best time to play around with new technology and techniques that you are itching to try. The goal is to narrow down what we need down the road, deciding on what could we do to streamline the process better. Then we would transitioned to shot work mode, this is when we would start applying those look developments and workflow on production shots. The work that we did on the first half would helped tremendously if done right. Almost every shot in a movie requires a slightly different mix of ingredients to make it work in the context of the show. I would spent my time in dailies and meetings reviewing shots and making notes to improve the shots. I tend to give myself some shots to do as well so I know what my team is dealing with, also because I love doing shots — it is definitely one of my favourite things to do, probably even in the top ten, right under ‘Sunday nap’. The key word here is ‘context’. As a generalist, we would always think of what it is the shot needs more than anything else and focus on that. BA: What does a CG generalist do in a production? What are the scope of works? J: A CG generalist by definition does everything — which is the most confusing job description ever. The reality is the generalist role differs from one place to another, sometimes even from one project to another in the same company. In smaller studios, they have the CG generalists do almost everything from making CG assets (modelling & texturing), producing images (lighting & rendering), all the way to shot finishing (compositing). While in larger companies, they are more agile and can have different roles depending on the show and the crewing situation at the given time. In ILM, while we can do a lot of things, we are most proud (and known) for our environment work. J: Have a good eye to recognise the needed aesthetic is by far the most important, at the end of the day — our main job is to produce pretty pictures. I would say being constantly hungry at being better in your craft is also a key aspect — this means being open to new tools and willingness to learn new workflows that are constantly evolving. Those two are already tall orders, my #3 would be to develop a thick skin to inputs and even criticism , after all — if you did make it into one of these “dream” companies, your work will be reviewed every single time. BA: Can you share any memorable moments in your career life that you really think is important to you? J: I have plenty but the first would be the initial one to Brunei as this was my first realisation of to-gain-experience-you-have-to-sacrifice-comfort moment. The second would be the holy-crap-I’m-going-to-US-woohoo-Liberty-statue move to New York and the third would be the ILM one for obvious reasons. Quick fact: I still haven’t seen the Statue of Liberty. BA: Who is your biggest inspiration as an artist? And why? J: Pascal Blanche. His artwork is always refreshing and he has a unique way to do colours and lights. Vlado of Chaos Group, for his dedication to make artist’s life easier. BA: Which amongst your work, that you really proud of and feeling most satisfied with? why is that? I am satisfied with most of my work, always try to put max effort before sending it out there, you don’t want to regret it afterward — “uh I wished I worked harder and did this or that” — it’s not a good feeling. The one that kind of stand out as being the most memorable was a game trailer for Planetside 2, I was trusted with a rather large chunk of the FX work and like the end result. That was also the last project that I did with Brandon Riza — who I considered to be my mentor. BA: Have you ever won any award in your career line? Or maybe as an individual artist? J: Well… the latest one was Deepwater Horizon where we were nominated for an Oscar and won VES awards. That was fun. Before that, there were some nominations (and heartbreaks) here and there. About individual award, a long time ago — one of my artwork was featured in a CG magazine (I think it was 3dWorld), not sure if this counts. BA: Off course it does! Do you still have any future dream? How do you grow and motivate yourself to reach that dream? J: My next dream is to put Indonesia in the CG world map — not watching from the sideline, but as a force to be reckon with. I am still trying to find a tangible goal on how to pursue this so for now I am focusing on getting better and get more experience. BA: What do you do in spare time that helps you grow as an artist? J: I try to travel and see the world a bit more. Also I tend to do a reset when I start a new project so I can approach it a fresher mindset — this usually helps in getting the motivation going. BA: How do you see our local animation education & industry progressing in your eyes? J: Honestly, I am not familiar with the state of our local industry, it is been awhile since I talked to industry people at home but it is great to see someone like (Ronny Gani) and Rini (Sugianto) who are willing to teach the animation craft at the highest level or Andre (Surya) who produces high quality work with his studio. We definitely need more people like them. 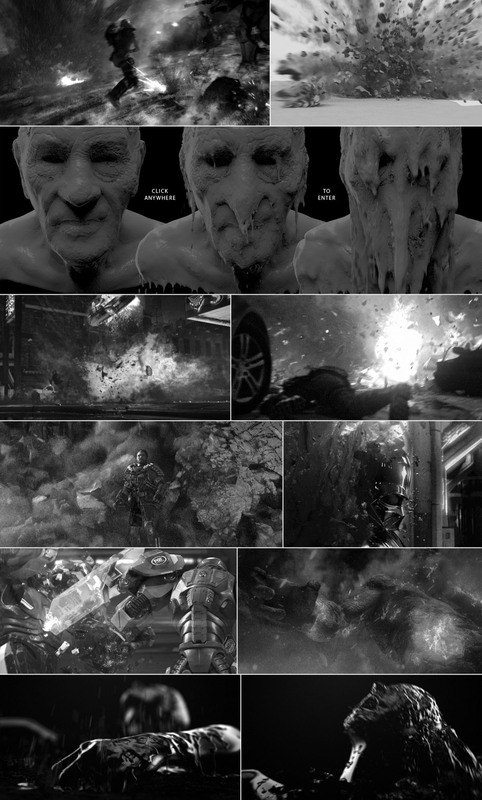 If you stumble upon cool vfx-heavy movies or anything really, please forward them to me. BA: What do you think is needed to make an artist progress even further and able to compete in international market? J: Make high quality products and services. No ifs or buts. The playing field is more even than ever, the internet provides access to both clients and customers in a scale that is unprecedented. But the internet is a big ocean, you’ll need a big wave to get noticed. I think we should not wait for government or major business players to get us moving, we are still in a stage where 3-4 very willing individuals could disrupt the entire landscape of our local industry. By sharing your experience and teaching your craft, Bengkel Animasi and other, like Rini Sugianto, already contributed a lot.